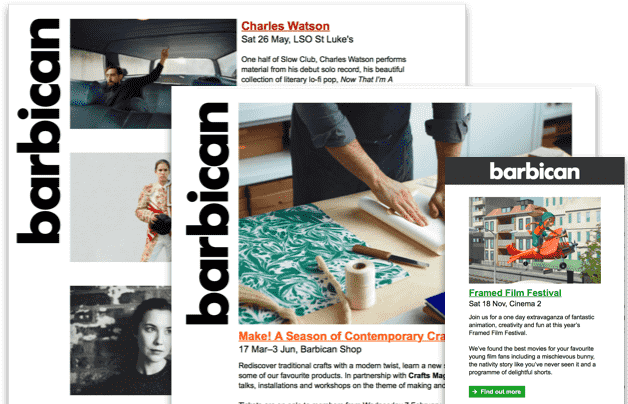 A world-class arts and learning centre, the Barbican pushes the boundaries of all major art forms including dance, film, music, theatre and visual arts. How could the potential of technology impact the way we perceive reproduction and ultimately human life? Watch as The Doc Collective explore the future of reproductive medicine in their documentary short, The Children of Tomorrow. What if you could live forever but just didn’t want to? In Ollie Wolf’s ‘The Last Forever Woman’, we meet Alma, an immortal 217-year old who is feeling just that. In Vivek Vadoliya's 'Kasaragod Boys', we meet a group of young boys, living in the predominately Muslim district of Kasaragod and see the world the way they project it online through social media. See our opening hours for other venues. We are within walking distance from a number of London Underground stations, the closest being Barbican, St Paul’s and Moorgate. The nearest train stations are Liverpool Street and Farringdon. Bus Route 153 runs directly past the Barbican along Chiswell Street. Plan your journey and find more information about getting to the Barbican on our 'Your Visit' pages.